Researchers set out to find a substitute for black walnut shells for oil/water separation due in part to the seasonal availability of black walnuts shells. Additionally, a media with improved performance was needed. Testing of a new synthetic media was performed on synthetic produced water and in field pilot studies. 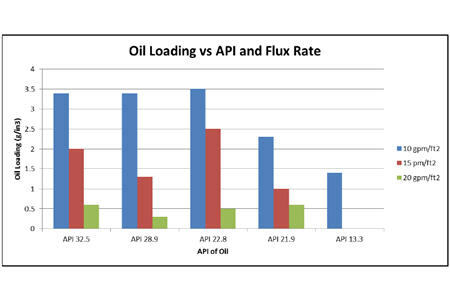 These tests have found that the new media can manage significantly higher inlet oil concentrations and have a higher specific load of oil than traditional walnut shells.